So Buddy has come back. Here to keep an eye on the kids and letting Santa know whether they've been naughty or nice. 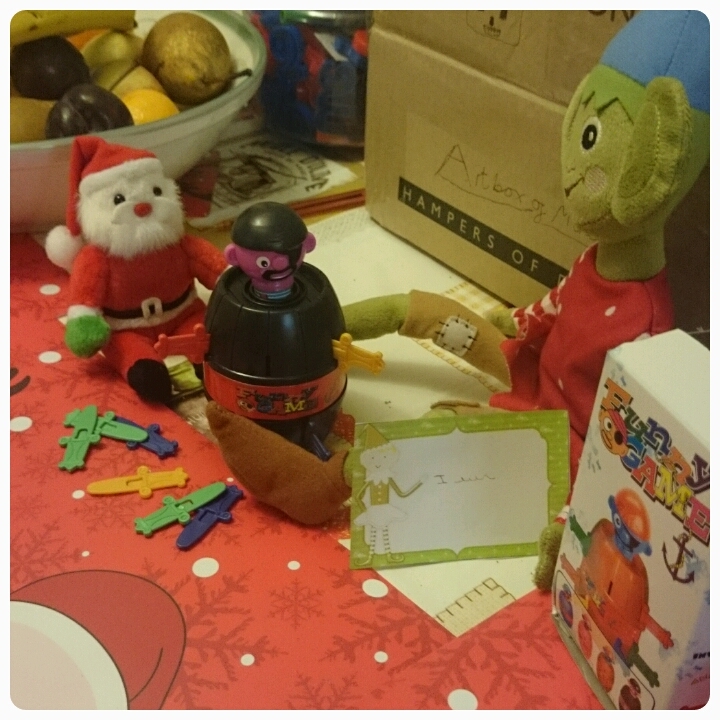 Last month he sent a postcard announcing that he would indeed be returning and he came back with gifts. 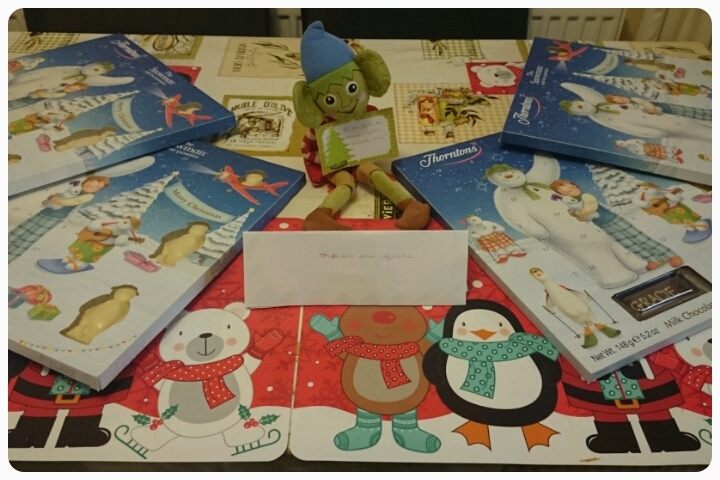 Advent calendars for all and a surprise gift for Gracie to take in for her class mates, time to grow some candy canes!! 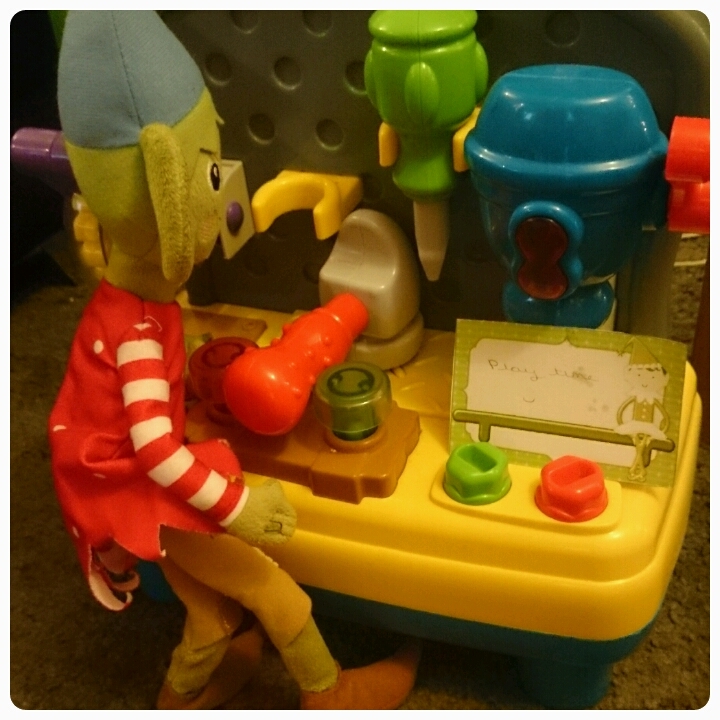 Looks like toy making has already begun. A date interrupted, just getting to the good part by the look of it. 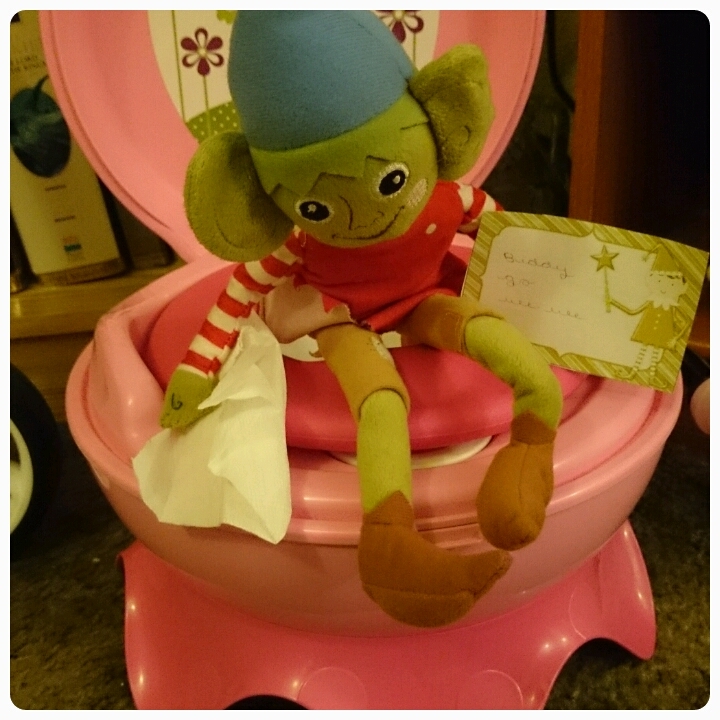 So pleased to see that even elves can take themselves for a wee. Game time with Santa and according to the note, poor old Mr Claus was not the winner. Here's hoping Buddy behaves himself next week!! I love those advent calendars - Emmy would have loved one of those. 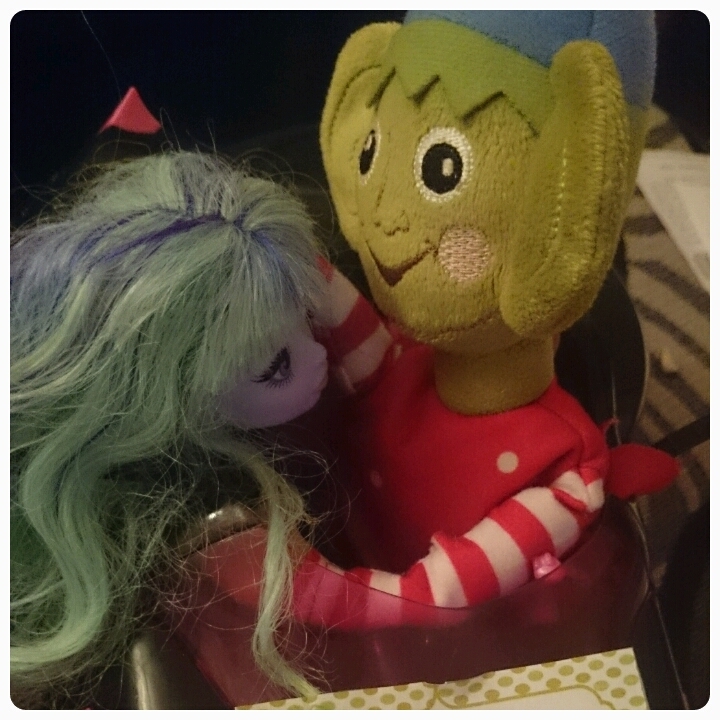 You Elf is having rather a lot of fun!